Created by the Campus Election Engagement Project, a nonpartisan effort to help college and university administrators, faculty, and student leaders engage their schools in the election. Key sites consulted included Votesmart.org, OntheIssues.org, FactCheck.org, Politifact.com, and public candidate statements. For guides to local races, see Vote411.org from the League of Women Voters and Ballotready.org. For more detailed information visit their votesmart.org pages. To volunteer, visit martinheinrich.com and garyjohnsonsenate.com and mickrichforsenate.com. To download a printable pdf version of this guide, click here. Abortion: Mostly ban or mostly legal? Martin Heinrich – Legal. Safe & legal without restrictions. Gary Johnson – Legal. Personal aversion but recognizes as law of the land. Mick Rich – Ban. Life begins at conception. Campaign Finance: Require political ads to disclose largest funders? Support Citizens United decision, allowing unlimited corporate political donations? Martin Heinrich – Yes. Supported DISCLOSE Act of 2015 to do this. Overturn Citizens United through Democracy for All Amendment. Mick Rich – No position found. Climate Change: Consider climate change a serious threat? Limit or tax production of greenhouse gases? Gary Johnson – No. Says human activity is a contributing factor, but doesn’t support government role in regulating. Mick Rich – Unclear. Mentions but not as urgent issue. Says Sandia Labs coal plant filter can solve CO2 emissions. Martin Heinrich – No. Threatens healthcare, environmental protection, & workers’ rights. Gary Johnson – Yes. Would “probably” vote to confirm. Economy: Support Federal spending to promote the economy? Martin Heinrich – Yes, particularly transportation infrastructure. 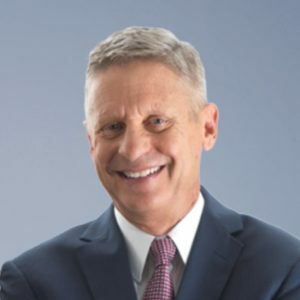 Gary Johnson – No. Cut government spending by 20%. Mick Rich – Yes. Energy development & infrastructure repair. Economy: Support Trump’s imposition of tariffs on China? Martin Heinrich – No. Sledgehammer where need surgical approach. Gary Johnson – No. Hurt US industries that need imports like solar. Mick Rich – Yes. Current trade with China is not fair. Education: Help parents send children to private schools with public money? Elections: Support nonpartisan redistricting to address charges of partisan gerrymandering? Martin Heinrich – Yes. Require independent, bipartisan redistricting commissions. Gary Johnson – No. Prefers term limits & selecting Senators by state legislators. Environment: Support cutbacks of Environmental Protection Administration (EPA)? Martin Heinrich – No. EPA needed to protect health & well-being, & move to clean energy economy. Gary Johnson – Unclear. Believes that the EPA has an important role to play. Mick Rich – “Natural environment” is “fragile,” but businesses are overregulated. Financial Regulation: Support cutbacks of Consumer Financial Protection Bureau (CFPB)? Martin Heinrich – No. Called for its continued funding & independence. Gary Johnson – Yes. Scrap Dodd-Frank, the legislation that authorized the CFPB. Mick Rich – Yes. Congratulated Trump for Dodd-Frank rollback. Gay Marriage: Support gay marriage? Martin Heinrich – Yes. Early supporter. Gun Control: Support more restrictive gun control legislation? Martin Heinrich – Yes. Former NRA member, backed legislation to ban bump stocks & deny those on the federal no-fly list. Gary Johnson – No. Says evidence doesn’t show that such laws make us safer—actually less safe. Mick Rich – No. “Constitutional right.” Wouldn’t restrict semi-automatic weapons or silencers. Healthcare: Support or Repeal Affordable Care Act (ACA), known as Obamacare? Martin Heinrich – Support. Repeal would make rural hospitals close & tens of thousands lose coverage . Against Medicare work rules. Gary Johnson – Repeal. Would repeal ACA & cut Medicare. Supports free-market approach to health coverage. Healthcare: Let Planned Parenthood receive public funds for non-abortion healthcare? Gary Johnson – Unclear. But supports across-the-board federal funding cuts. Immigration: Path to citizenship for “DACA” recipients or “Dreamers,” brought here as children? Marijuana: Legalize or decriminalize marijuana? Gary Johnson – Yes. Long-time advocate for legalization. 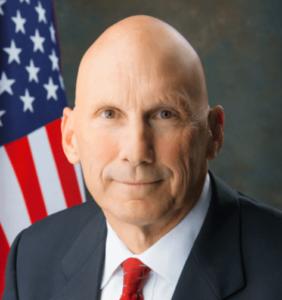 Mick Rich – Opposes legalizing recreational use. Minimum Wage: Raise the federal minimum wage from $7.25 /hr? Martin Heinrich – Yes. Raise to $15. Gary Johnson – No. Eliminate federal minimum wage. Net Neutrality: Require internet providers to provide equal access? Martin Heinrich – Yes. Voted to reverse FCC’s repeal of net neutrality rules. Gary Johnson – No. Government shouldn’t regulate. President Trump: Response to his actions and policies? Martin Heinrich – Generally a vocal opponent. Has voted 26% in support of his policies. Gary Johnson – Criticizes immigration & trade stands. His 2016 supporters exceeded Trump margin in enough key states to have potentially changed outcome. Privatization: Support full or partial privatization of Social Security? Martin Heinrich – No. Signed Social Security Protectors Pledge. Gary Johnson – Yes. Some or all of Social Security should be privatized. Renewable Energy: Support government subsidies for renewable energy? Gary Johnson – No. Proposes “a free market approach,” with technological innovation as only driver. Mick Rich – No. Would only support renewable energy without government subsidies. Student Debt: Refinance student loans at lower rates, by increasing high earner taxes (Elizabeth Warren bill)? Increase aid, like Pell Grants? Gary Johnson – Supported elimination of all student loans, though would explore reduced interest. Called for Pell Grants cuts. Mick Rich – No position on Warren bill. Consolidate income-contingent loans. Let Pell grants cover job training. Taxes: Support President Trump’s tax cuts? Martin Heinrich – No. Does little for working families. Gary Johnson – Yes. But should have also cut spending. Mick Rich – Yes. “Stimulated investment & job creation. Voting Rights: Support stricter voting rules like photo ID? 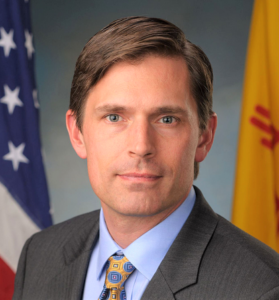 Martin Heinrich – No. Disproportionately affect minority communities. © Campus Election Engagement Project 2018. All rights reserved.